Michael Neil, a trial lawyer and senior partner of the firm, specializes in civil litigation with emphasis in personal injury, professional liability, products liability, as well as business litigation. Mr. Neil has tried over 140 Superior Court cases to jury verdict. 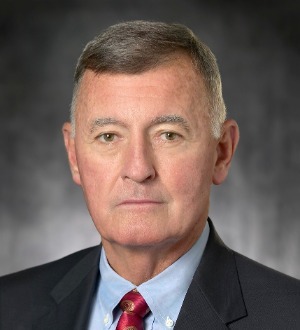 He is a past Secretary/Treasurer and the current President of the Federation of Defense and Corporate Counsel. Mr. Neil is a past President of the Association of Southern California Defense Counsel and holds the rank of Diplomate in the American Board of Trial Advocates. He is also one of only 20 practicing attorneys in San Diego inducted into the prestigious American College of Trial Lawyers. Michael Neil is a frequent speaker and lecturer on trial and legal topics. Mr. Neil has been selected by his peers for a listing in “Best Lawyers of America” since 1987. He was named as one of San Diego's Top Attorneys in Insurance Law by the San Diego Daily Transcript. He has also been featured as one of the best lawyers in San Diego in San Diego Magazine as well as the California Lawyer magazine. Mr. Neil has been named one of San Diego's Super Lawyers by the publishers of Law & Politics Magazine since 2007. He was named one San Diego's "Top 50" Super Lawyers in 2007 and named “Top 10" Super Lawyers in San Diego for 2008. Mr. Neil is retired from the United States Marine Corps Reserve with the rank of Brigadier General. He is a recipient of the Navy Cross, second only to the Medal of Honor. He is a member of the Board of Directors of the San Diego Padres and frequently serves as a television commentator on legal and military matters. In 2008, Mr. Neil was the recipient of the Daniel T. Broderick Award for Civility, Integrity and Professionalism in trial advocacy presented by the San Diego County Bar Association. The honoree is selected by the American Board of Trial Advocates, Consumer Attorneys of San Diego, Association of Business Trial Lawyers and the San Diego Defense Lawyers. Also in 2008, Mr. Neil was honored by the American Ireland Fund with the Robert A. Macnamara Award for excellence in literacy and the arts.